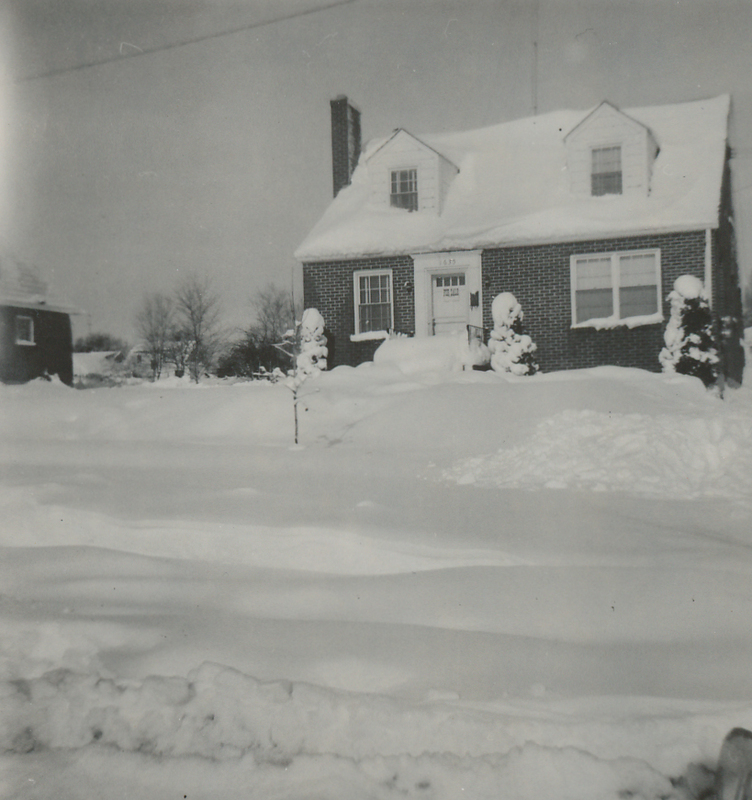 Fifty years ago this month, I arrived in a snow-covered city I would come to think of as my first American hometown, Winchester, Virginia. I had just spent most of my elementary school years in Kyoto, Japan, which I still think of as my Japanese hometown. My parents were missionaries. I was born in Louisville, Kentucky, where my father was in seminary, and I later attended first grade there during our first furlough while he finished his coursework toward a Th.D. But our two-and-a-half years in Winchester gave me my first prolonged exposure to life in small-town America. For 7th and 8th grades, I walked to my mother’s alma mater, Handley High School, where I soaped the windows of my homeroom one Halloween, and had a classmate whose parents threw a grand Bat Mitzvah party, for which I learned to jitterbug when other kids were just beginning to dance the Twist. We two oldest brothers were baptized in my mother’s home church, First Baptist, where my parents had gotten married and my father now served as associate pastor during our extended furlough. He would draft us to help shovel snow off its sidewalks along Piccadilly and Washington Streets. My brother and I both had paper routes, delivering the Winchester Star on the way home from school each afternoon. I joined the Boy Scouts, advancing to Life Scout and marching with my troop in the annual Apple Blossom Festival parade. My mother’s two brothers lived a few miles down the Valley Pike, while her sister lived up the Pike outside Martinsburg, West Virginia. My parents resigned after their regular furlough year (partly from burnout), and we moved into a smaller house near Quarles Elementary School, where I had earlier finished the last half of 6th grade. Without a missionary salary, my father supplemented his earnings at First Baptist by substitute teaching at the county high school (James Wood) and serving as interim pastor at a tiny Baptist church in Gore, Virginia (birthplace of Willa Cather and Patsy Cline, I later discovered). Meanwhile, my mother had her hands full with five kids. Our family car was a Rambler station wagon with an extra rear-facing seat in back. One summer we drove it to Sebago Lake in Maine, where our pastor let us use his summer cabin, where in the evenings my mother would read to her own five children from The Five Little Peppers and How They Grew (one of whom—in each family—was named Joel). My mother, who had dropped out of Berea College after her junior year to get married and become a missionary, always felt inferior to the more educated missionary wives, especially the registered nurses at the Japan Baptist Hospital in Kyoto, where my father had served as chaplain. Perhaps she compensated to some extent by being somewhat of a Japanese-style kyōiku mama (at least where I, her eldest, was concerned). But I remember those years as the least bookish, most outdoorsy era of my life. 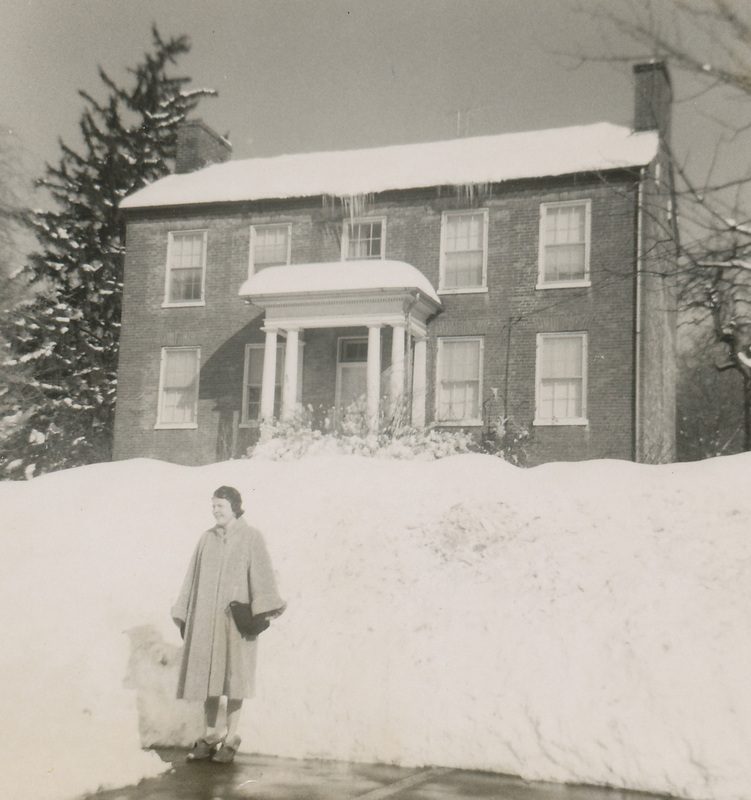 We went sledding on the slope above our big old house on Amherst St., and built igloos and snow forts behind our smaller house on Henry Ave. One summer, Uncle Bill took us waterskiing on the Shenandoah River. Dad took us oldest boys along for a campout in Monongahela National Forest with a group from his little country church in Gore. With Boy Scouts, I took a 50-mile hike along the Appalachian Trail through the Shenandoah Mountains, and I remember one Camporee that got hit by such a heavy rainstorm that many parents came to rescue their boys and a few boys abandoned their pup tents to spend the night in the scoutmasters’ vehicles. Sometime during 8th grade, I started to show signs of near-sightedness. I don't think it was while trying for my rifle-shooting merit badge in the old Winchester Armory. I think I first noticed it when I had trouble reading the blackboard from the back of the classroom during algebra class or my tryout semester of Latin. But Uncle Bill likely noticed it sooner when I accompanied him on trips to Baltimore to bring back a tanker of gas for his filling station. He used to ask whichever nephew accompanied him to be on the lookout for certain road signs, landmarks, or maybe patrol cars, and I don't think I was as good at spotting them as he was—or as my brother was. I went for an eye exam and got a prescription for contact lenses (newfangled and expensive at the time), which were soon replaced by regular eyeglasses after I lost one down the drain. Sometime during that same school year, my parents opted to return to the mission field, this time to Hiroshima, which became the Japanese hometown of my three youngest siblings. We two eldest sons went off to boarding school in Kobe, and I began my evolution into the most bookish nerd one can ever hope to become. One of the people who most helped put my impressions of Ceauşescu's Romania in 1983-84 into coherent wider perspective was Steve Sampson, an American anthropologist from (at that time) the University of Copenhagen (now at Lund University) who had done a lot of fieldwork in Romania during the 1970s and come back for more just as we were finishing our Fulbright year there. He was the one who introduced me to the term "actually existing socialism," which Western socialists employed to distinguish their visions of ideal socialism from the actual implementation of socialist projects in Eastern Europe and elsewhere, where nearly every ostensible good intention had paved the road to ruin. When I recently googled his name, I came up with an interesting article he had published about attempts by NGOs to help failed societies in the Balkans pick themselves up and get fresh starts. I'll quote just the introduction from his preprint published in Anthrobase under the title Weak States, Uncivil Societies and Thousands of NGOs: Western Democracy Export as Benevolent Colonialism in the Balkans. In 1997, as part of a EU program to help build civil society in Bosnia, I was assigned to participate in the "mapping" of civil society in the country. We found nearly 400 various voluntary groups and civil society organizations. There were community groups, environmental groups, women's groups, youth, refugee/returnee groups, human rights groups, psychosocial assistance groups, associations for reconstruction, culture, legal aid etc. Even in the eastern Republika Srbska, which was considered to be home to some of the most uncivil tendencies in Bosnia, we found various local initiatives and activities which we certainly could call "civil society". This was surprising to the international aid organizations operating in Bosnia, who saw themselves as operating virtually alone, or needing to "build up the NGO sector". But it also surprised ordinary Bosnians working in civil society who also felt tremendously isolated. During a meeting, one of them even declared, "If we had had 400 NGOs in our country before the war, there would have been no war." As part of this same study, we also commissioned a study of the history of the Bosnian voluntary sector. We found that a hundred years ago and up to the Titoist period, Bosnia was full of voluntary charities known as Vakuf, civic organizations, community groups, intellectual clubs and other organizations and activities which we would today call "civil society" or non-government organizations. It turns out that Bosnia was not so Balkan as it may seem, and that the real problematic was not the absence of civil society and the need to implant NGO organizations, but the fact that a vibrant civil society had in some ways declined or dissolved due to specific historical and political factors. Similar tendencies have prevailed in most other Balkan countries: there were community groups centered on neighborhood, occupation, or common interest which existed together with or supplemented the primary family groups; moreover, family groups often fulfilled what we today would call civic functions, providing security, welfare, etc. Kosovo's (pre-1999) parallel institutions are the most recent example. The problem of civil society is not necessarily its absence but its decline under specific conditions of economic chaos or political repression. I point out this example because over the last few years in trying to export Western democracy to the Balkans, we continually interpret our difficulties in terms of the barriers posed by stubborn Balkan traditions. A Western democracy assistance program has stalled or not been implemented, and this is explained by the fact that local Balkan organizations or government offices lack initiative, are not serious, are just thinking about the money, are hypocritical, lazy or corrupt. NGOs are accused of being unable to cooperate, of hoarding information; staff are accused of not having enough initiative; intellectuals of being unable to write clearly; officials of promising to do something and then changing their minds or catering to their political patrons. These explanations for inadequately executed programs come from the donors and their representatives. They are often not written down in reports but are the stuff of ethnographic interviews or café chatter when "the internationals" gather. But the critique is also complemented by the locals. In Albania, Bosnia, Romania, and Kosovo, the locals make similar complaints about donors: the donors do not listen to their suggestions; they come in and out as if they know everything; they impose bureaucratic barriers on obtaining funds; they are keeping secrets from us; they are maintaining their positions to earn high salaries, otherwise they would have to go home; they are wasting aid money meant for us; they are carrying out unnecessary appraisals, evaluations, and control visits using uninformed foreign consultants. In short, the donors are "not being transparent with us", they say. This activity, "donor bashing", is almost de rigeur at conferences on the Balkans and in recent locally produced analyses (Deacon and Stubbs 1998, Papiè 2001). Criticism of donors in Eastern Europe, particularly of American programs, comes also from Western specialists (see esp. Wedel 2001, Carothers 1999, Carothers and Ottaway 2001). Now it would be easy, much too easy, to call all this an Orientalist discourse, yet another indication that we stupid Westerners don't know what's going on. I myself, having worked on such projects, have been accused of all these things. Analyzing the local laments, it would also be easy to see a kind of Balkan externalization in which all problems are attributed to the machinations of outside actors beginning with the Turks, later on the Communists, and now the West, represented by their agents at the local EU office or USAID mission. It would be easy to conclude that the donors are stupid, naive or corrupt, and that the local staff are unthankful or manipulative. Yet things are not so simple. In fact, most of the actors on both sides of the Western aid system are intelligent, diligent and well-intentioned. Moreover, many of the most anti-Balkan statements come not from the foreigners, who in fact have a sympathy for the trials and tribulations of these countries, but from local citizens frustrated at their own countrymen for squandering opportunities or not being able to cooperate. The most negative remarks about the Albanians, Kosovars, Bosnians and Romanians with whom I have worked have come from other Albanians, Kosovars, Bosnians and Romanians. The discursive turn in Balkan studies (Wolff 1994, Todorova 1997), in which societies are purely constructive and therefore artificial, has blinded us to the concrete problems which cause some organizations and projects, despite good intentions and declarations, to falter. Measuring project success is always problematic. Often we tend to compare the ideal of our own society (our own myths of efficiency, transparency and cooperation) with the harsh reality of getting things accomplished in the Balkans. There are in fact some concrete factors connected with Balkan history and society which do indeed give democracy projects a particular colour in these places south and east of the Alps. In one particular sector, civil society/NGO development, activists and project coordinators conclude that of the thousands of registered NGOs, no more than 10% are truly active. The rest exist only on paper, or have been formed only to obtain funds, or are a cover for a single person's activity, or simply a cover for tax free business, or even worse. Civil society is accused of being secretive, manipulative, ineffective, nepotistic, of being an "NGO mafia" who reward each other with trips, computers, and other benefits. The conflicts can even be more dramatic. In Albania, for example, I was working with a head of a youth organization who explained to me that he was unable to work with another youth activist because of a family feud: He explained to me, "Do you know what it's like to be angry at somebody for five generations? "(Sampson 1996). Let me try to summarize, at the risk of putting all the Balkan societies under a single category (something we do every day when we talk about "the West"). What makes the Balkans both interesting, and exasperating is the presence of alternative social arrangements for achieving one's own strategies and for preventing others from achieving theirs. Kinship, clans, family relations, social networks, social circles, intrigues, ties of loyalty, informal linkages, and a host of social obligations somehow inhibit people from fulfilling their official duties to formal institutions, or prevent organizations from operating in an efficient, transparent way. In one sense, these are the famous "parallel structures" which played such a prominent role throughout the Balkans both before and during communism, and in Kosovo during the 1990s. In another sense, these parallel structures are the true civil society, the social self organization to fulfill grass roots needs in a hostile political environment. The paradox, of course, is that these same informal relations which inhibit institutions from functioning are those which have enabled Balkan peoples to survive subjugation by foreign powers, authoritarian politicians, and countless wars and betrayals. Moreover, if we examine the many successful civil society initiatives in the Balkans, we find that many of these activities are based on the utilization of kinship, friendship and neighborhood ties and strong social linkages of obligations. Members of NGOs are not simply independent individuals with a common interest; they have often grown up together, gone to school together, served in the military or spent time in prison together, been in exile together, or are close friends or cousins. They "know each other". Let us call this relationship one of "trust". Trust, and the moral obligations associated with these, enable people to get a meeting together at a moment's notice, or put together an application, or locate a plane ticket when everything is sold out. Trust is what the members of an Albanian grant-giving foundation with whom I worked, when reviewing applications for grants from other activist groups, could throw the project proposal aside and conclude, "I know him. He's good." And it is these same importance of social relations which also causes them to question another project proposal, no matter how well written, by saying, "I don't know her." or "Her father was a communist". The strength of these ties is well known to Balkan ethnographers. Extended families, friendship, godparenthood, village ties, and conversely, relations of enmity and feud are the very stuff of Balkan ethnography, especially out in the villages and up in the mountains. It is these ties which enable communities to hold together while also tearing them apart in the most violent fashion. In fact, the stronger the kin and family ties, the more violent the feuds and more fragmented the society. Highland Montenegro and Northern Albania are examples (Boehm 1984). Seen from a Western democratic point of view, the problem of the Balkans is what to do about these traditional institutions. Up to now, the idea has been the replace them or go around them by establishing new institutions: NGOs, community organizations, parliaments, ombudsmand, and other kinds of formal organizations. Even in politics, the idea has been to turn the personalistic, clientilistic political parties into transparent, accountable organizations. Much of the activity of Western development projects is about implanting these new forms onto preexisting communities. It is about replacing loyalty to persons with a Western model of loyalty to an institution and its principles. Sometimes these efforts have been successful, though the presence of so many façade or nonfunctioning organizations seems to belie the success. The ability to actually utilize these traditional networks has been limited to a very few projects: one of the most interesting are the Danish government-financed projects for conflict resolution in Albania, in which traditional leaders and peacemakers are given training in modern techniques of conflict resolution, which they then use to arbitrate family disputes, village conflicts or long-standing blood feuds. Generally, however, the effort by Western democracy and civil society programs is to transplant our models so that local cultural traditions remain unused. Most Westerners' observations about complications in civil society development speak of the stubbornness of Balkan cultural traditions. The adaptability and flexibility of these traditions tends to be forgotten, as it tends to conflict with the dynamics of the Western foreign aid system as it operates in local communities and social interventions. It is what I call the "social life of projects", a specific set of resources, people and practices which ultimately creates embedded interests (Sampson 1996). One of these interests is to make itself irreplaceable, i.e., to construct a local Balkan reality in which local problems persist and make project personnel and project thinking a necessity. At its best, the project system begins with foreign staff and their organization, who are then gradually replaced by local staff, what in Kosovo has been called "kosovarisation" by the OSCE. Project society has its own dynamics, and it is misleading to see Western aid projects as an insidious plot. The donors and their personnel are by and large well-intentioned, and the most suitable term for Western intervention in the Balkans would be benevolent colonialism. Here the accent should be on the benevolent aspects. Traditional European colonialism was violent, repressive and exploitative, but we also know that even the most brutal colonial regimes in Africa had civilizing missions, priests, doctors and humanitarians who truly sought to help. They built roads, sewage systems and railroads. Today's Western benevolent colonialism seeks to provide a climate of security and stability in the Balkans, and while their may be untapped consumer markets for cellular phones and household goods, the economic benefits of Western investment in the Balkans are questionable. We need to understand the nature of this Western good will, the mechanisms behind "funding virtue" (Ottaway and Carothers 2001). Balkan critiques of the West focus on Western self interest and manipulation, hence the conspiracy aspect. They fail to understand that from an economic point of view, the Balkans is more a burden than a benefit. Hence my focus on benevolent colonialism. This kind of colonialism has its own dynamics, whereby the Balkans are a Western project. Let me therefore use the rest of this paper to detail the nature of project society in the Balkans. Labels: Balkans, democracy, economics, nationalism, NGOs, scholarship, U.N.
Before he rented it out in May 1864, Hepburn had taught students Western medicine in his dispensary. Among those whom he taught was Yamanouchi Bunzaburo, the uncle of Hayashi Tadasu, and Hayashi Yuteki, who founded the famous Maruzen Bookstore. Clara Hepburn also taught them English. She was a trained teacher, having taught at the Norristown Academy in Pennsylvania before marrying, and was teaching several boys whose progress in reading and writing English had been altogether satisfactory and in some cases remarkable. Hepburn Juku ([supplementary, a.k.a. "cram"] School), which Clara began in November 1863 shortly after her return from the United States, had its beginning in a Sunday school for the young boys and girls in the treaty settlement that she held in the front waiting room of the dispensary (being Sunday, there were no patients). Japanese children were also allowed to attend. It was from this Sunday school that an English-language school developed. Hepburn Juku had among its young students some who would become famous figures, including future prime minister Takahashi Korekiyo; foreign minister Hayashi Tadasu; leading businessman Masuda Takashi, who helped to establish the Mitsui zaibatsu, a major industrial and financial conglomerate; and surgeon general Miyake Hiizu (Shigeru). Thirteen-year-old Hayashi, the nephew of a doctor who had studied with Hepburn, was the first student. It was a manifestation of a growing awareness of the importance of English that these young boys came to Yokohama in order to learn it. However, their successful careers were predicated on the fact that these boys did not become Christians, and their presence at Hepburn Juku was often merely a brief interlude (by way of attending an English-language crammer, which prepared them for entry into American schools, and familiarizing themselves with Americans) before setting out to the United States or elsewhere overseas to study. It was Hepburn's later deep involvement in the establishment of Meiji Gakuin University in Tokyo that allowed the university to claim that its origins can be traced back to 1863 and to Hepburn Juku (and so bask in the reflected light of being connected to such a great figure in modern Japanese history as Takahashi, whose abiding reputation has been undoubtedly helped by his vicious assassination by militarists in the attempted coup of February . Takahashi made a special visit to Hepburn's house in East Orange, New Jersey, when he was in New York on government business during the Russo-Japanese War. Clara was too ill in hospital to see him, but he had a conversation with Hepburn in which he expressed his gratitude for Clara's efforts in teaching English. More immediately, the success of Clara Hepburn's efforts undoubtedly contributed to a very significant development, as it turned out, taking place in Yokohama in 1864. Some Japanese officials at the customs house in Yokohama had approached Hepburn with a request that he establish a school for the benefit of interpreters and others who might obtain government permission to attend it. After consulting with the Dutch Reformed missionaries, the Yokohama Eigakujo (Eigakko, also known as the Yokohama Academy), was organized and opened. From the start the school was a success. Labels: education, Japan, language, U.S.
[In 1866] Hepburn's dictionary was being printed at a rate of 6 pages a day, with nearly 250 pages of the first part of Japanese to English – out of a total of 600 pages – finished. Hepburn was now writing out a second part to the dictionary of English to Japanese (something he had not previously contemplated), which would add approximately another 300 pages. He had a deadline of 1 June to have it completed. It was an expensive business, costing two dollars a page for composition alone, and even though Walsh had agreed to cover any losses, Hepburn was obliged to pay him back all monies from sales until the debt was cancelled. There was going to be no immediate financial benefit to Hepburn from all his work. Surprisingly, the dictionary was finished ahead of schedule, and Hepburn was back in healthy Yokohama by late May 1867 and able to send off a copy to the mission library back home. Although Hepburn was discounting the early work of his friend Brown in claiming his was the first dictionary, it was an immense achievement, far surpassing any nineteenth-century rival. Yet, the dictionary had its limitations for those learning Japanese. Interestingly, in early 1870, Christopher Carrothers, a new Presbyterian missionary then learning Japanese, wrote that Hoffman's Japanese grammar was the best assistant for the written language: "Dr. Brown's Grammar and Dr. Hepburn's Dictionary are more adapted to the Colloquial. Hoffman is soon to issue a Japanese Dictionary for which we are anxiously waiting. Carrothers was referring to J.J. Hoffman, a German linguist who learnt Chinese, Japanese, and Korean in Europe and in 1868 produced a Japanese grammar in Dutch and English. Even though Hepburn's dictionary might have been more suited for those using colloquial speech than wanting to acquire the written language, it remains Hepburn's greatest contribution to opening Japan, not only to missionaries but also to the English-speaking world. It should not be forgotten that Hepburn was helped by the work of other Western scholars who had attempted Chinese or Japanese grammars and dictionaries before him, including W.H. Medhurst, Karl Gutzlaff, and S.W. Williams among China missionaries, and Liggins, Brown, and Hoffman when it came to Japan and Europe. He also benefited from the assistance of Kishida Ginkō, who had been with Hepburn in Kanagawa and accompanied him to Shanghai. In September 1872, the Japan Weekly Mail noted that the second edition of the dictionary "is a fresh encouragement to foreigners in this country to pursue the study of the Japanese language, and to the Japanese it will afford invaluable assistance in the study of ours." The newspaper predicted that its print run of three thousand would be quickly sold out. It was close to a century later – in the early 1960s with the publication of the Nelson dictionary – before another American missionary produced a dictionary that would have a similar profound impact on those learning Japanese. The Hepburn system of romanization of Japanese, which the earlier dictionary first introduced and the Nelson dictionary used, remains the standard system of romanization. The dictionary was typeset and printed in Shanghai, where it required "making copper matrices and casting of new Japanese as well as specialized English type, so the actual printing was moving at a snail's pace" (p. 79). Labels: anglosphere, Japan, language, publishing, religion, scholarship, U.S. I began blogging seven years ago today (in 2003), after finishing our family Christmas letter (the Harking Herald–Jahrblatt, now in vol. 20), and having a few free moments to see how easy it might be to start my own blog on Blogger. About four years ago (in mid 2006), after researching free online tools while on a short sabbatical in Japan, where my wife was teaching at the time, I began editing Wikitravel articles about cities I had visited there. I also created my first new article on Wikipedia and started a Flickr site for all the photos of springtime in Japan that I took with my small digital camera. I've now added more than 3400 photos from other travels, some of them scans from older prints, which have altogether attracted about 430,000 views. Shortly after returning to work in July 2006, I migrated a work blog from Wordpress.org software running on our own server, to a better-looking, sturdier, and more spam-proof blog at Wordpress.com. I easily imported all my old posts from my old Far Outliers on Blogger.com into a new Far Outliers on Wordpress.com and began posting to both blogs, partly as backup, partly to avoid orphaning my old blog and its regular readers and indexers. I have created several more WordPress blogs for other people since then. Each Far Outliers blog now contains over 2100 blogposts of identical content but different appearance (with almost 660,000 page views on my older Blogger site, plus over 200,000 on my WordPress site). About two years ago (early in 2009), I discovered that my documentary photography hobby could serve to supply photos for the intersection of two WikiProjects: WP National Register of Historic Places and WP Hawai‘i. That hobby snowballed drastically this year after a local reporter who likes to write about old buildings profiled us in the local paper. By now I have edited, expanded, or created hundreds of Wikipedia articles. About two months ago, after our daughter's wedding, I finally relented and joined Facebook, to which I'm now adding more old photographs of friends and family, photos with faces in them. So there you have it, a growing list of excuses for not blogging as much as I used to. The next seven years of blogging may remain fairly lean, but only because I've got too many other projects going. It remained unclear whether Beijing was simply using the Soviet border threat to galvanize internal party unity, or whether genuine geopolitical realignment was in the making. The answer came in the spring of 1969, on a tiny, uninhabited fragment of land about 250 miles down the Ussuri River from the Soviet city of Vladivostok. Called Damansky by the Russians and Zhen Bao by the Chinese, the island appeared to be of only symbolic worth. Little over a mile in length and a half mile in breadth, Zhen Bao and its environs were mostly swampland and under water for much of the year. The island is closer to the Chinese side of the river, but both countries had long claimed it. According to Soviet press reports from March 2, 1969, that morning 300 Chinese troops on the island opened machine-gun fire on a Soviet patrol of frontier guards, killing 31 and wounding 14. The Soviets sent reinforcements, but these too were ambushed. Chinese accounts of the encounter, predictably, blamed the aggression on the Soviets (counting 70 Soviet dead), and although at first most Western observers jumped at a chance to blame the Chinese, the reality of that cold morning remained foggy. Both sides had withdrawn from the island by the afternoon, but Zhen Bao marked only the beginning of the conflict. As spring turned to summer, violence erupted again on Zhen Bao as well as thousands of miles to the southwest, on the border between Soviet Kazakhstan and China's Xinjiang province, and along the Amur River. These skirmishes were more prolonged and bloody than the first brief encounter in March. Both sides issued conflicting accounts of the hostilities, but the geography of the battle sites in Xinjiang—easily accessible from nearby Soviet installations, and hundreds of miles from the nearest Chinese railhead at Ürümqi—suggested that the Soviets started the trouble there. It was Hill's job to report on the border conflicts in daily cables to Washington. His commentary was circumscribed by lack of trustworthy eyewitness accounts, and as always he relied heavily on careful reading of the rhetoric coming out of Beijing and Moscow. But by 1969, these had become well-worn limitations for Hill. He was used to sorting through fighting versions of the same story and extracting some shadow of the truth. The responsibility was thrilling. The cables required him to draw on all his experience as a China watcher and to write cogently under extreme pressure—a skill that is learned only by necessity. Once Nixon and his staff had time to reflect on Hill's anonymous cables, the significance of intensifying conflict between the world's two Communist giants was clear. As then national security adviser Henry Kissinger reflected in his memoirs, a Soviet invasion of China would capsize "not only the geopolitical but also the psychological equilibrium of the world; it would create a momentum of irresistible ruthlessness." Moscow's periodic threats to attack Chinese nuclear installations or employ nuclear weapons to push People's Liberation Army forces back from the border were particularly disturbing to Washington. On the other hand, an opportunity suddenly existed to soften China's raving isolation and cultivate a triangular balance among the world's three great powers. The situation was delicate. Beijing's propaganda still accused America of colluding with the Soviets in a renewed attempt at "imperialist encirclement." In the months that followed, Kissinger became a prime mover behind a series of symbolic gestures and guarded diplomatic advances toward China. On a late summer world tour, Nixon remarked cautiously about opening channels with the Chinese to intermediaries in Romania and Pakistan, who, it was assumed, would relay the message to Beijing. As the Soviets grew increasingly nervous that autumn, Kissinger authorized the end of the U.S. destroyer patrol in the Taiwan Strait—a signal whose military significance was dwarfed by its symbolic value. What followed, Kissinger wrote, was "an intricate minuet between us and the Chinese so delicately arranged that both sides could always maintain that they were not in contact, so stylized that neither side needed to bear the onus of an initiative, so elliptical that existing relationships on both sides were not jeopardized." Those brief clashes in the desolate reaches of southeastern Siberia set off a geopolitical chain reaction that would culminate in President Nixon's much-vaunted trip to China in 1972. His visit, to those who had been watching most vigilantly, was less a diplomatic coup than an inescapable executive act confirming several years of geopolitical transformation. The shift in the balance among the Soviet Union, China, and the United States was, for those who knew what to look for, well marked along the way—in official editorials' compromised turns of phrase, in remote clashes over an inhospitable bit of land, and, sometimes, in what was not said at all. Hill was never bothered that Kissinger, for whom he would be a top speechwriter in a scant few years, had no idea who had written the cables he read with such interest. Although no reasonable junior officer expected to see his name attached to most of his work, Hill was distinct in his attitude. "Others said, 'We're working like dogs, but the time will come when we'll be ambassadors and we'll cash in,'" he recalled. "I didn't. I thought this was great—way beyond anything I'd been asked to do before." Hill's self-confidence was more valuable for its noiselessness. It was unusual in a profession that attracted ambitious men and women intent on achieving power and making names for themselves. That breed of officer was often frustrated in the Foreign Service—a highly constrained job, bounded by meddlesome supervisors and a lethargic bureaucracy that shuttled its officers around the globe, granting them little notice or say in their futures. Hill was better suited to it than most. Although every telegram he drafted was revised and chewed up by his superiors, his ideas still confined by a system that offered no guarantee that those on high would listen, he felt that the months spent covering the Sino-Soviet border dispute were the apex of his career thus far. He loved the chance to shape information, to tell the story of the border clashes as he saw it. His was a silent ego, not a meek one. Although Britain was loath to open trade relations with Japan, British naval officers were instrumental in beginning what is now considered by many (especially Japanese Anglicans) to be the first Protestant mission to the Japanese, the Loo-Choo Naval Mission. Bernard Jean Bettelheim and his English wife were associated with the British Anglican Church Missionary Society and were the Loo-Choo Naval Mission's resident medical missionary couple in Naha between 1846 and 1854. A miserable time Bettelheim had of it, for he was beaten and ostracized by the Ryūkyūans and held in contempt by commanders of Royal Navy gunboats that infrequently visited them. In early February 1852, Bettelheim wrote to Commander Charles Shadwell of HMS Phoenix complaining about his treatment at the hands of Japanese soldiers and arguing that British settlers would never be safe until gunboat diplomacy was used to teach the Japanese a lesson. Shadwell strongly disagreed about the need for gunboat diplomacy and thought Bettelheim exaggerated his complaints about the Ryūkyūan authorities. In his report on his visit to the Ryūkyūs, Shadwell wrote that Bettelheim's enthusiastic zeal was undoubted but that he was narrow-minded in his view of the world and that his isolation in Naha had led to "an idiosyncratic turn of mind which renders him an unsafe guide in matters which might involve grave political consequences." The charge that Bettelheim was narrow-minded was a common criticism of evangelistically minded missionaries, but there is no doubt that he had developed in Naha an idiosyncratic turn of mind. Bettelheim fared little better when Commodore Perry first visited Naha in May 1853. He had a long conversation with Perry soon after his arrival, very likely giving him a full report of his frustrations with the Ryūkyūans and what he saw as their negative characteristics. McOmie has suggested that as a result of his meeting with Bettelheim/ Perry was prepared to match the chicanery and duplicity that Bettelheim saw in the Okinawan authorities with "a little Yankee diplomacy." By the end of Perry's visit to Naha, however. Perry's relations with Bettelheim were not good, and the commodore rejected Bettelheim's offer to join the expedition to Japan as an interpreter. This was much to the relief of Samuel Wells Williams, the expedition's missionary interpreter, who had developed a real dislike for Bettelheim while Perry's flagship was anchored off Naha. Part of the problem was Bettelheim's acting as an agent for the American warships in the purchase of provisions during their extended visits in 1853 and 1854, leading to suspicions that he was lining his own pockets. Yet, the officers of USS Plymouth thought his services had been so valuable to them during the winter of 1853 that they presented him with a silver goblet worth $80. Attitudes toward Bettelheim among Americans with Perry's squadron were mixed. Lieutenant George Henry Preble of the USS Macedonian was generally sympathetic, but he thought that despite Bettelheim's sincerity and enthusiasm, he was the worst kind of person to be a missionary to the Ryūkyūans: his great contempt for them meant that he knew less about the Ryūkyūans after eight years than some knew after eight months. William Heine, the official artist with Perry, clearly liked Bettelheim. Heine was very impressed when he became, by chance one night in February 1854, an unseen onlooker at the Bettelheim family's evening prayers. The German-speaking Heine was a young man and possibly a little homesick, which might account for why he found the prayers of a close-knit family so touching. His overall generosity of feeling toward Bettelheim might also be a reflection that the polylingual missionary's German was better than his English. On 15 January 1854, Bettelheim preached aboard the Macedonian; Preble recorded that "it was an ingenious and animated discourse to which his foreign accentuation and broken English gave additional force. Reading the Hymns was rather a stumbling block to him but he showed he conceived their sense." Since Bettelheim was unable to convert the Ryūkyūans to Christianity, Preble thought his chief contribution was the translation of the Scriptures into Ryūkyūan language and the construction of a Ryūkyūan dictionary. A linguist said to have mastered thirteen languages, Bettelheim managed to translate four chapters of the New Testament into the Ryūkyūan language. This work was probably the most positive and lasting legacy of his sojourn in Naha. Under pressure from the Ryūkyūan authorities. Perry agreed to evacuate the Bettelheims from Naha. In March 1854, Perry's supply ship Supply took Bettelheim's family to Shanghai, and later in June Bettelheim himself left Naha for good aboard USS Powhatan. He left behind his replacement, C.H. Moreton, formerly of the London Missionary Society, and Moreton's wife, who had arrived in Naha that February, to continue on the mission alone. Bettelheim made the first step toward establishing Protestant missions in metropolitan Japan, which the northward movement of American warships under Perry from the Ryūkyūs presaged. Unfortunately, in December 1855, his successor, Moreton, fell ill and left Naha to return home. There was difficulty finding another missionary, and in 1861 the Loo-Choo Naval Mission was formally ended. What monies were left over were given to the British Anglican Church Missionary Society for the development of its future Japan mission, which eventually began in 1869. Labels: Japan, language, religion, U.K., U.S.